Israel said an MSF nurse shot at troops on the Gaza border this week, a charge the medical charity said Friday it was investigating as it confirmed the death of an employee. “Doctors Without Borders (MSF) confirms that one of its employees, Hani Mohammed Almajdalawi, was killed in Gaza on Monday, August 20, 2018,” the organisation said in a statement. “MSF is working to verify and understand the circumstances regarding this extremely serious incident, and is not able to comment further at this stage,” it added. “Hani al-Almajdalawi, who tried to infiltrate through the security fence in the northern Gaza Strip while he was armed with a rifle, opened fire toward military forces and even threw an explosive device at them,” it said. 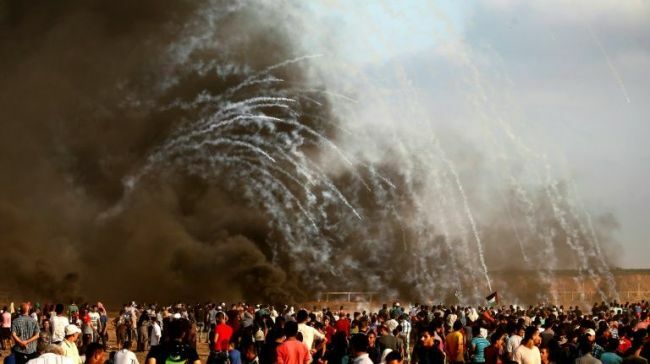 At least 172 Palestinians have been killed by Israeli fire on the Gaza border in mass protests which began on March 30. Israel maintains that its use of force is necessary to defend the border and stop infiltrations and attacks. Israeli authorities did not immediately respond to requests on Friday to confirm Almajdalawi’s death and detail where his body was being held. The Israeli military on Monday released a terse statement on a border gunfight which did not name Almajdalawi or confirm that he has been killed. “A terrorist shot at IDF troops in the northern Gaza Strip, in response IDF troops shot towards the terrorist,” the army said, referring to the Israel Defence Forces. It said that no soldiers were wounded but made no mention of any Palestinian casualties.